Goldfish care is not as complicated as most people think. Taking care of goldfish is actually a lot less demanding when compared to caring for a dog or cat, but it does come with certain requirements and responsibilities necessary to ensure the health and well being of the fish. 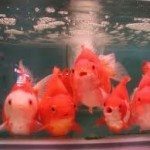 If you are thinking about becoming a goldfish owner, you should learn all you can about correct treatment, feeding, and maintenance of this small but magnificent creature. Goldfish is a freshwater creature and it thrives in large spaces. If you decide to own more than one goldfish, it is recommended to invest in a good aquarium which can provide all the clean water and space the fish needs. A misconception is that goldfish are meant for a fishbowl (as portrayed in every ad or movie scene in recent years). Goldfish are in fact better off swimming in a larger tank. The tank or aquarium needs to be cleaned on a regular basis. Keep in mind that the more fish there are in one tank, the more often the tank needs to be cleaned. It is very important to keep the water temperature below 74 degrees fahrenheit or 23 degrees centigrade to prevent oxygen deprivation. Oxygen deprivation can cause the fish to asphyxiate and die.You will need a water thermometer so it is best to get one when you go shopping for a fish tank. Checking the temperature and clarity of the water every day is key to keeping the fish happy and healthy. Many people are unaware of the fact that goldfish do not actually have a stomach. However, goldfish still need nourishment in the form of solid food so it is necessary to feed them once a day. While goldfish are really small, their metabolic rate is quite slow so you only need to give it food once a day (a pinch or two of pellets). It is very important to remember that overfeeding your goldfish can lead to very serious and irreparable damage to its digestive system, which can cause death. Be sure to scoop up any and all leftover food from the tank to avoid contamination and prevent the goldfish from becoming more susceptible to illnesses. As with most fish, companionship is very important to goldfish. It is good to put more than one fish in every tank. However, you do need to be careful of the number of fish you place in a single tank because overcrowding tends to make goldfish agitated and stressed. About 2-3 fish would suffice for a medium sized tank to keep the habitat conducive for growth and excellent health. When you decide to have a goldfish for a pet, be sure to obtain all the necessary equipment & supplies beforehand. Click on this link if you’d like to purchase a basic set up kit ready for your new pet fish. 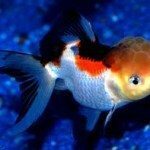 While it might seem daunting at first, most goldfish owners get into the rhythm within a week and find that goldfish care is not as hard as they thought. Preparation is the key and you will enjoy many hours relaxing watching your fish.